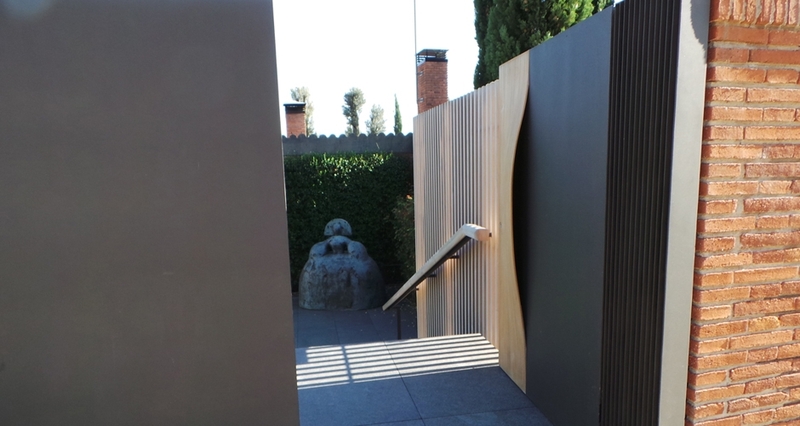 The door is part of the main access to the client’s private residence, located in Esplugues de Llobregat, Barcelona. 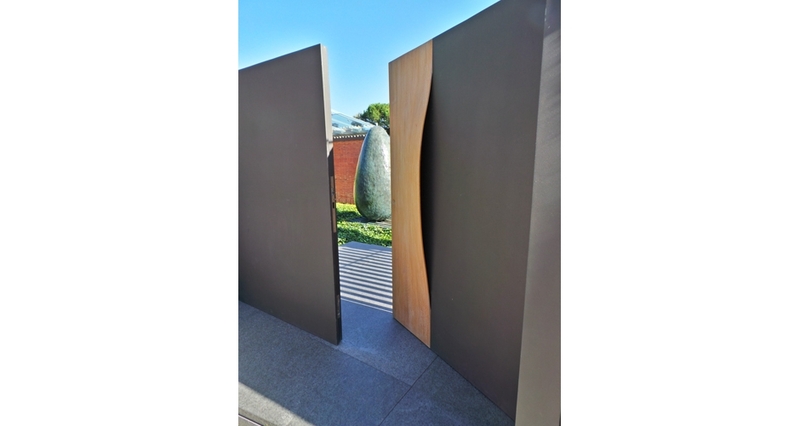 It consists of a piece of solid Teak integrated into a metal structure that completes the exterior access to the house. 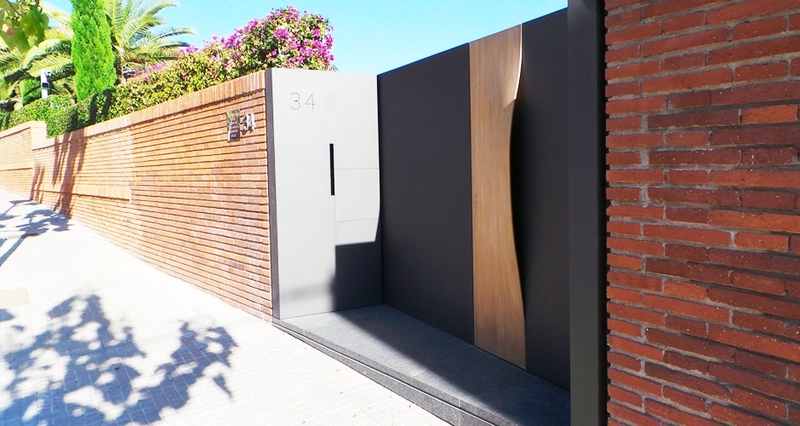 The door is designed by the landscape architect Ana Esteve and architect Marcel Bilurbina from AELand studio. 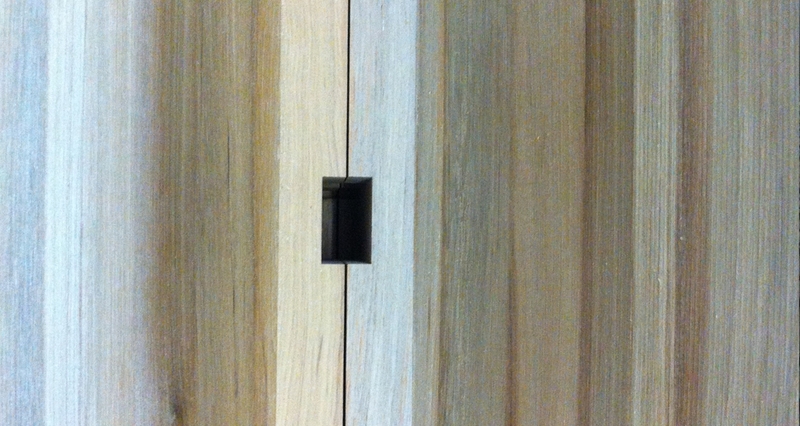 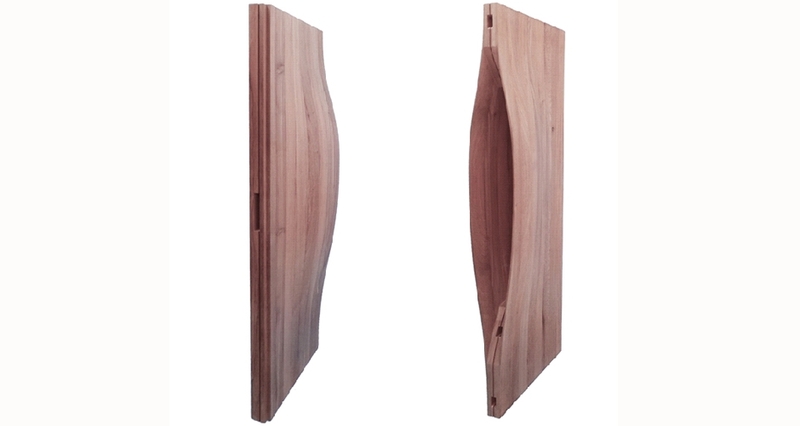 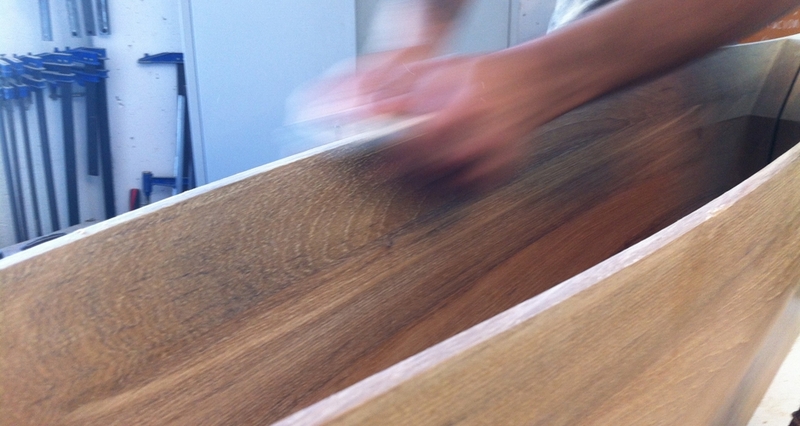 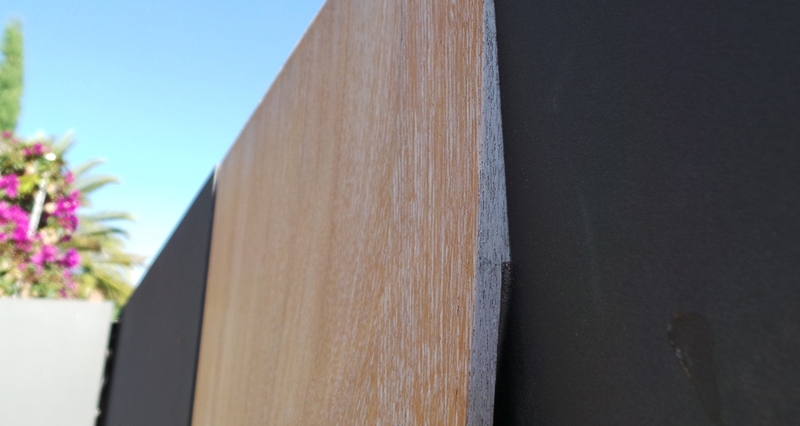 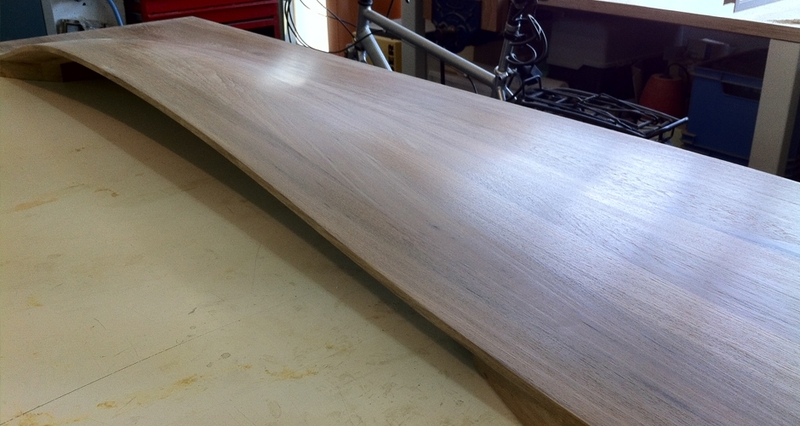 The proposal is to use a piece of solid wood as a door handle on both sides of the board. 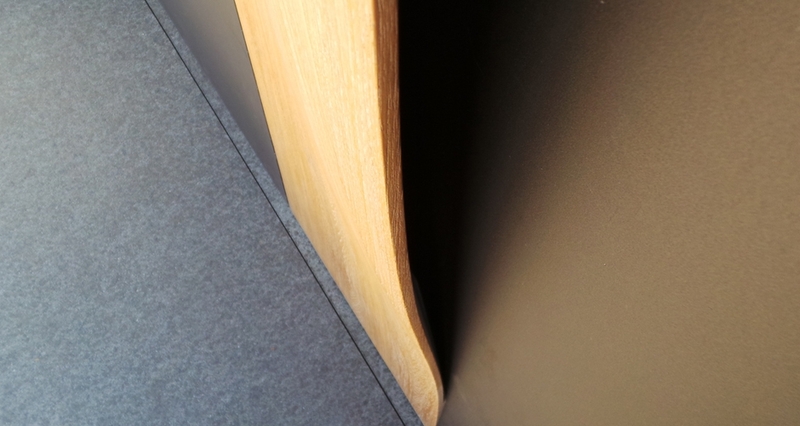 To this purpose, a curved surface such as a hollow shell was conceived to take advantage of the plastic qualities of wood and its high resistance. 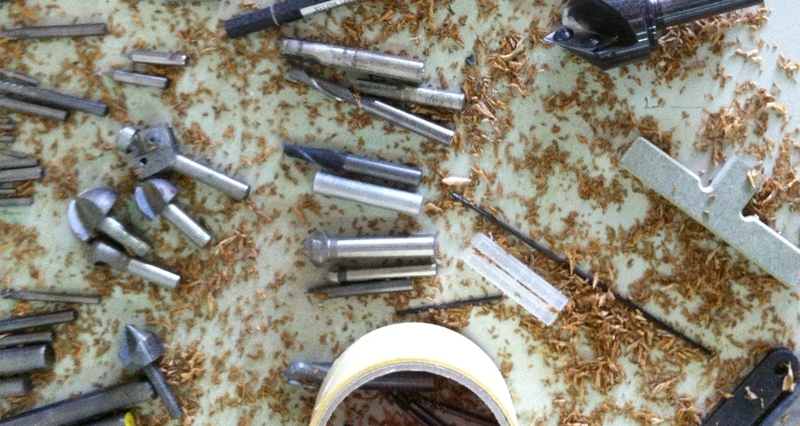 The piece consists of solid wooden sticks glued together. 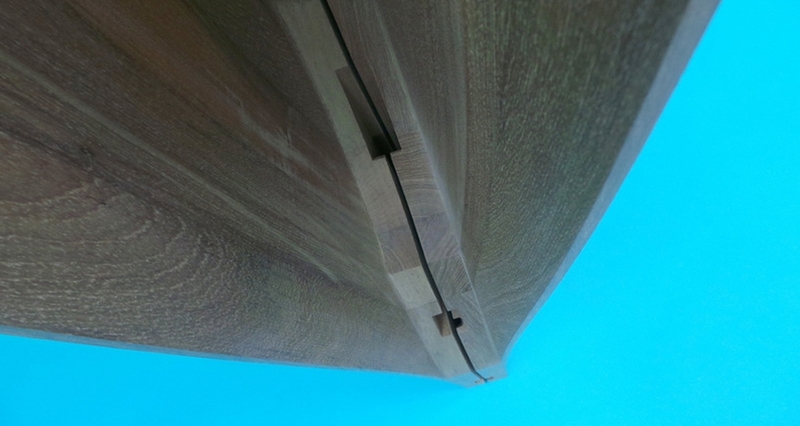 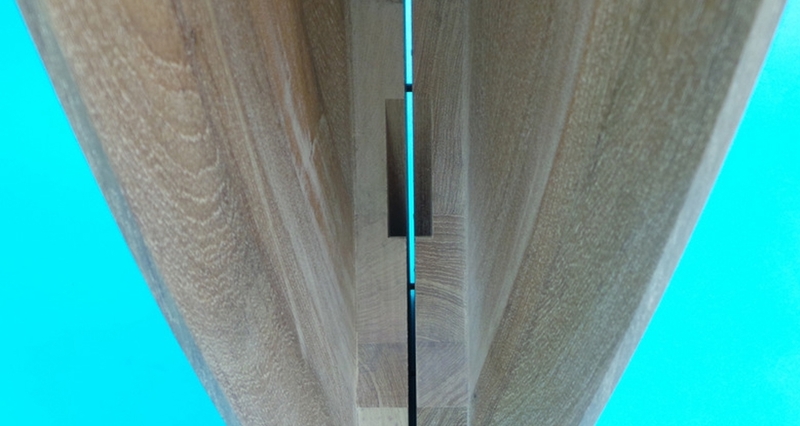 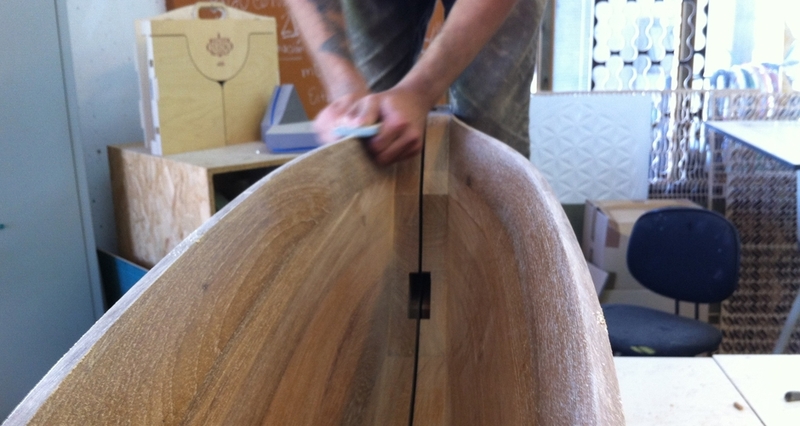 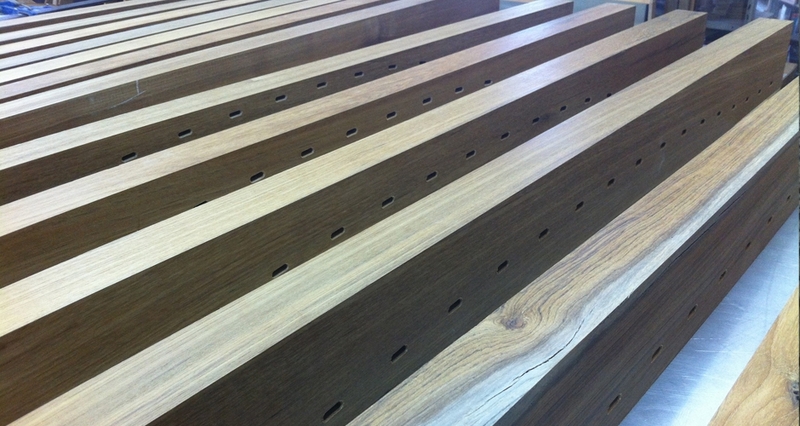 The sticks are reinforced on the inside with 150 wood joints to ensure the stability of the board. 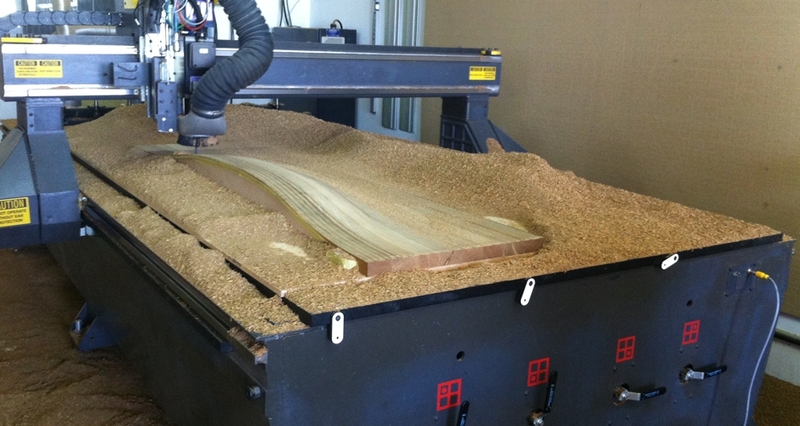 The piece was produced using digital manufacturing technology to optimize and control the complex construction process. 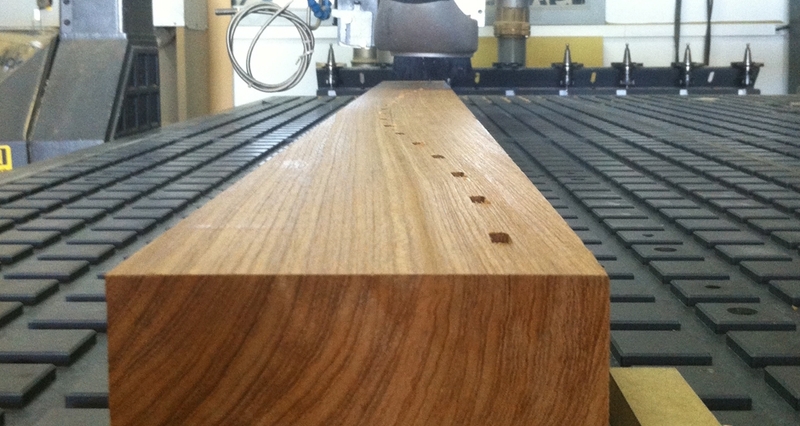 From a technical point of view, we remark note the high level of precision and control of all manufacturing parameters. 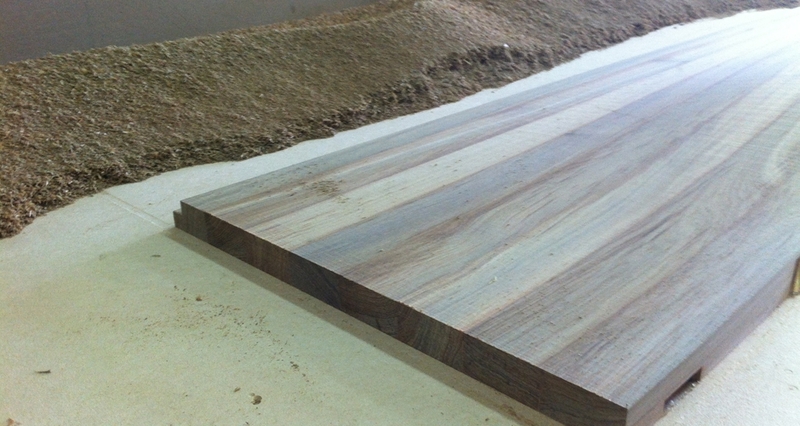 The value of this work lies in having taken to the limit the properties of wood, always respecting their properties.